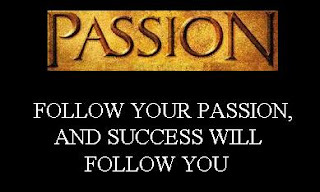 Google "follow your passion" and you'll be bombarded with a million, sticky sweet inspirational quotes. Yes, they all say to be successful in life you must do what you're passionate about. Ok, sure, I believe that. However, passion is only one piece of the magic equation. You can be passionate all you like, but without these seven things, you'll never be truly successful. The "fake it 'til you make it" mentality will only get you so far. Unless you know your stuff, you'll be found out quickly. It's all about keeping it up. Go, go, go. On good days, on bad days, just keep going. No one ever says, "He's a real quitter! I've got to meet him!". Put out your best work--all the time. When people know you can be counted on in a consistent manner, that's how they learn to trust you. Sometimes you can create your own good timing with research or by being agile. Other times things are just out of your hands. Timing is a variable that can fluctuate like the weather, so don't get caught without your umbrella. No one wants a carbon copy of what's already out there. No matter what your product, service, or brand, shake things up a little! Nobody's ever made a huge difference by playing it safe. The fact of the matter is people achieve greater success when they have someone to champion them or their cause. If someone lends you a hand, cares about you, or supports you, don't take it for granted. Champions are hard to come by. Good ole' Lady Luck comes into play with many things we undertake. You can do everything right and still fail. Sometimes, you can mess up and come out ahead. Luck is real and it can play a role in your future. Ask anyone at the card tables in Vegas. Do you think passion is enough? If not, what would you add to the list? It's funny how many of us have been writing about passion this week. What I really like is how we bring our own perspectives about the subject to our blogs. Your post, while in agreement with my post about passion not being enough, incorporates ideas I didn't include in mine. One that hit home..."put out your best work-all the time"...I blew it this week with my weekly video...blurry and bad sound and I settled....shame on me! Another great post Amber! Thank you! Yeah, the whole passion and beer thing wasn't working out real well for me so I had to come up with another strategy. Passion is nice but your 7 points to go along with it are a must. I am much more passionate about my hobbies than I am about my job. I like my job and look forward to coming to work but my passion is more about the people I get to deal with than talking about 'insurance'. Fortunately, I have had success in my business and each of those 7 points played much more of a role than any passion I had about work. Thanks for sharing this, I enjoyed it and hope you have a great weekend. No way! You wrote on passion, too? I'll have to check it out, Erin! Thanks for chiming in. I'll go visit your blog today! It's smart to think outside out the box. Even better to forget there's a box altogether! But, you're right, playing it safe IS easy. That's why it will only result in mediocrity. If making big moves was easy, everyone would do it. Ha ha! Good point, Todd! Thanks for sharing that, Bill. Great example of how no one thing can be responsible for our success--or happiness. I think your story will resonate with lots of folks. People who are passionate about an aspect of what they do and use more "mortar" to build their empires. Thanks for adding to the discussion. Great input! Haha! I did write about passion this week. Do you follow John Falchetto's blog? Wednesday's post was inspired by a conversation I had with him on his blog, and my post lended itself to the two-part series about social media being "easy." I've since been pointed to another one of Falchetto's posts about passion and Leo Babauta. Amber, I absolutely loved this post! It reminds me of Malcolm Gladwell's article, "Late Bloomers." (Let me know if you haven't read it yet and I'll email it to you!) He talks about artists who reach their creative peak much later in life (dispelling the myth that true talent and natural creativity must arise in our youthful years). In the end, he touches on another pattern -- these "late bloomers" are successful because of the champions you describe, people who fully support them in their work, giving them the space to develop their creativity over time. Great input, Samantha! I think your insight on late bloomers is especially interesting. So many people stumble onto the fact that they have an aptitude for something later in life. Thanks for sharing your experiences, Samantha! Hey Vanessa! You're right, you can't skip the passion! Amber, aloha. 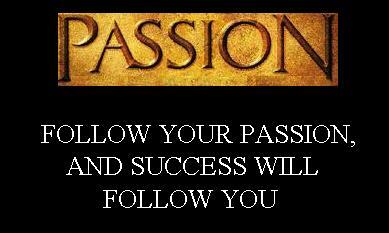 Passion plays a part and, for many, a significant part in success. However, it is only one element. Consistent action and persistence are key in my book. And, Amber, I would like to add one more piece to the equation. No matter what it is the person/company is doing/creating, I believe they must Expect they will succeed. Whether that success is measured by money or being acknowledged as making the greatest _________ ever known doesn't matter. The person/company must Expect to succeed. Thanks for chiming in, Ricardo. Nice ingredients! Good point, Janet. Attitude is everything, isn't it? Is your favorite blogger a dirty, rotten thief? Print is dying, but are more people reading?